This week sixth graders worked on narrative text features and showing direct evidence of the features in a fiction book. I used a worksheet that asks them to find the text feature and write a sentence from the book as evidence. Using holiday picture books as their source was a lot of fun for them and they enjoyed trying to find their favorite holiday book to use. Kindergarten–Kindergarteners love, love, love Pete the Cat. 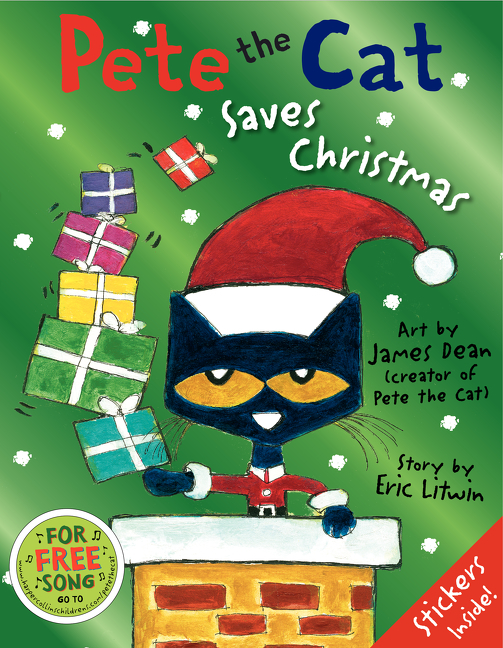 This week they heard Pete the Cat Saves Christmas by Eric Litwin. We also went to the HarperCollins website and found a short video to go along with the book and they left singing Pete’s Christmas song. 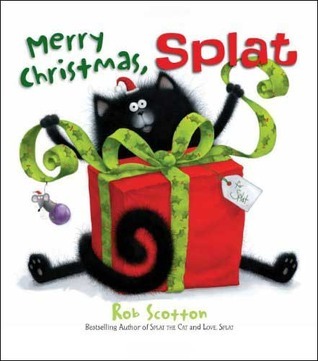 First Grade–As much as kindergarteners love Pet the Cat, first graders love Splat the Cat and this week they heard Merry Christmas, Splat by Rob Scotton. Splat gets worried he hasn’t been good enough all year to deserve a visit from Santa–something first graders tend to worry about, too. The illustrations in this book are as wonderful as they are in all Rob Scotton’s other books. This is definitely a holiday favorite. 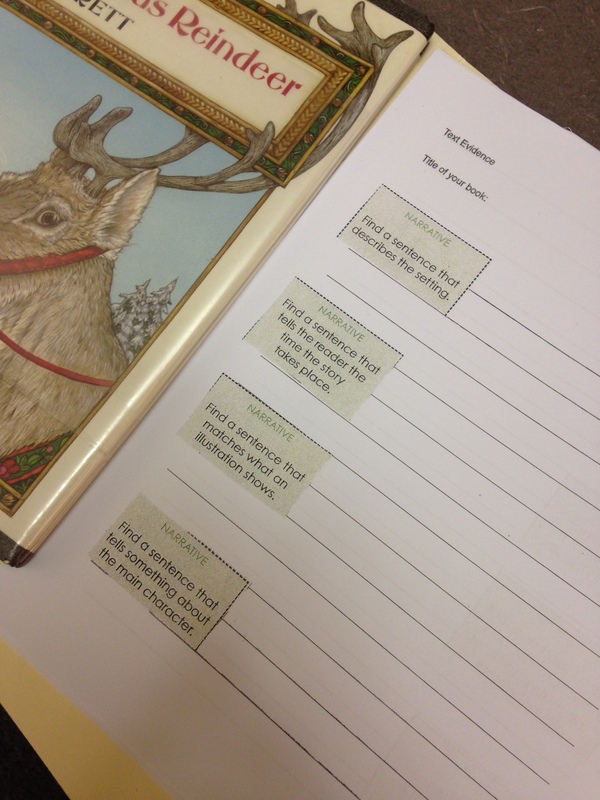 Second Grade–After looking at a still from the book app An Elf for Christmas and using the Visible Thinking Routine called Every Picture Tells a Story, second graders figured out that one of Santa’s elves was in for some kind of adventure. The app by author Michael Garland has his amazing illustration style and it was really great when projected on the TV. 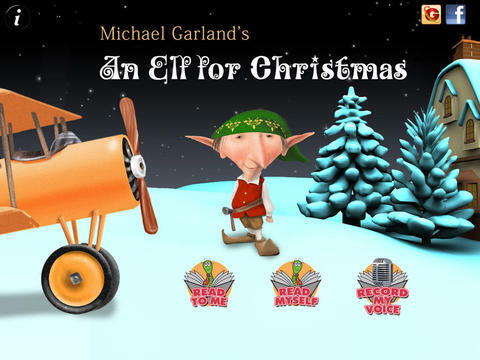 It’s a fun story about an elf who ends up in a present for a boy and must try to get himself back to the North Pole. However, this app has a few bugs, possibly because it was a bit over-ambitious with the special effects. I found that reading it myself instead of having the app do the reading worked better. 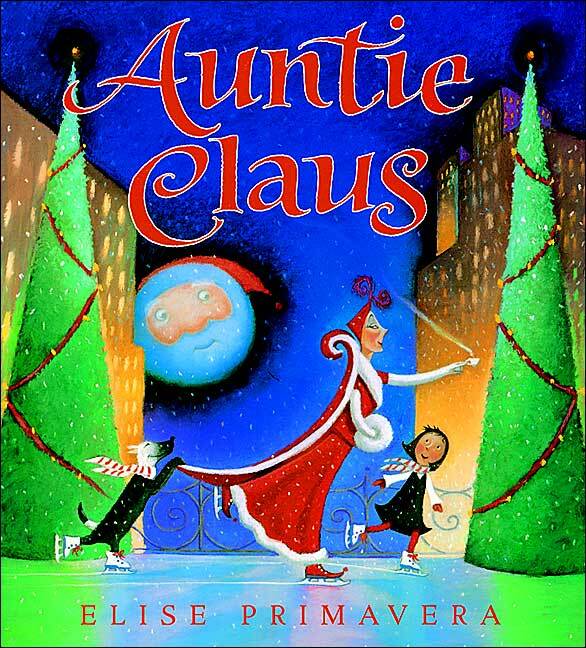 Third Grade–Auntie Claus by Elise Primavera is another of our holiday favorites. I took pictures of each illustration spread in the book and projected it on our TV as I read the story and it was a big hit! This is a fun story about the Kringle family with a nice message about giving. But it’s the illustrations that really make it work as a perfect holiday read aloud. Fourth Grade–Patricia Polocco’s books are so interesting to read aloud because not only are the illustrations beautiful, her stories (many based on her own childhood) are so touching. The Trees of the Dancing Goats is just such a book. 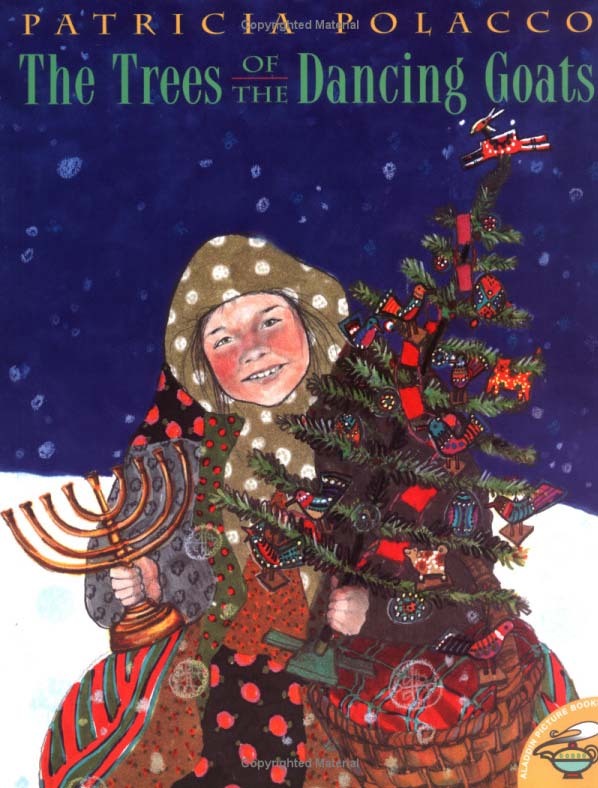 It’s a lovely blend of a Christmas story and a Hanukkah story. Fifth Grade–This week Fifth Graders did their Holiday scavenger hunt using the iPads. Do you know what the Christmas Truce was? They had a lot of fun finding the answers and using the iPads for a lesson like this made is easy and fun.